In Spring 2014, Inga Milevica was awarded a micro grant funded by the Association for Business Communication. The following is her report. The first and the main scientific-practical task of my project was to participate in an international forum and represent one of the private colleges of Latvia – Alberta College. The international forum “Socio-Cultural and Linguistic Aspects in Educational and Scientific Context” took place in Kyoto (Japan) at Kyoto Sangyo University from September 25-29, 2014. During the forum I presented my paper, “Naive Argumentation of Authority.” Colleagues recognized that they have similar problems (such as plagiarism, lack of knowledge of style, unwillingness to see the limits of text, ignorance of sources of information, glorification of online information sources). Also, I received an invitation from colleagues from the University of Ural publish my research the wider format (as part of a book). I gladly accepted this invitation. Thus, the first phase of the project has been very successful. As a result of this trip, colleagues from many countries (including Korea, Japan, Kazakhstan, Belarus and Russia) learned about my college. I received multiple invitations for cooperation between my college (Alberta College in Riga, Latvia) and national institutions from many countries on the following topics: foreign language teaching methodology, innovations of linguistic science, bilingual education opportunities and perspective, new paradigm of instructional theory, intercultural aspects of pedagogical activity, information technologies in education, and horizons of literature. The second goal of my project was methodical planning. The partners in the forum included Kyoto Sangyo University (Kyoto, Japan), Middlebury College (Vermont, USA), University of Bologna (Bologna, Italy), Sangmyung University of South Korea (Cheonan, South Korea), Almaty Institute of Power and Communication (Alamty, Republic of Kazakhstan), International Centre of Scientific-Educational Platform of Interaction of Cultures (Yekaterinburg, Russia), and the Institute of Foreign Languages and Multimedia at University of Greifswald (Greifswald, Federal Republic of Germany). I was able to discuss important issues of cooperation (different forms of cooperation, the uniqueness of cooperation programs, the most successful and unsuccessful programs, etc.) with colleges from Japan, Korea, Kazakhstan, Russia, Germany and USA. The most successful are developing virtual forms of cooperation, many colleagues said. My third goal in this project was educational enrichment. I teach students in Business in such courses as Communication and Ethics, and Corporate Culture. In these courses, themes of intercultural communication are greatly emphasized (with a focus on making contacts with foreign colleagues, partners, clients). I can say that I was lucky: I saw the careful attitude to the time, I saw the specifics of Japanese design space (at the university, in the hotel, as well as in the cities). Also, I watched the beginning of the Japanese builders‘ working day: they do some exercises and sing a song in a daily ritual that helps establish a working mood. Particularly interesting was listening to Japanese speech because their form of argument is different from that of Europeans. In conclusion, I want to say thank you to both the Association for Business Communication and the Center for Intercultural Dialogue for this grant, which provided a unique opportunity in terms of work, as well as my personal and professional interests! In Spring 2014, Rosanne Teniente was awarded a micro grant funded by the Association for Business Communication. The following is her report. This past August I was privileged to have the opportunity to attend the Institute for Peace and Dialogue’s Summer Academy on Peacebuilding and Intercultural Dialogue hosted in Baar, Switzerland. IPD is an organization dedicated to conflict resolution, peacebuilding, and intercultural dialogue, and host conferences and trainings for those interested in peacebuilding and cross-cultural communication. I was there for ten days from August 17th through 27th and was partially funded through a microgrant from ABC, awarded through CID. To say the least, it was a truly inspiring experience that I will cherish for the rest of my life. The experts invited were all very knowledgeable about their speaking topics, ranging from the Middle East conflict, non-violent communication and civil disobedience, to learning how to influence and persuade others, especially in dealing with conflict. Experts included a former French diplomat, the founder of the Pancevo peace movement in Serbia who was also directly involved in the Otpor movement that brought down Milosevic, as well as a former British colonel who worked on the Transnistrian conflict. There were also several experts in communication topics, ranging from cross-cultural communication, persuasive communication for successful negotiation, and non-violent communication. Every day had enthralling lectures, with great exercises and activities to really involve the participants. Perhaps what really made the conference as special as it was were the other attendees. There were about thirty other participants, attending from all over the world. Everyone’s unique cultural background and experiences lent to amazing discussion and insight. One gentleman hailed from the Democratic Republic of Congo and was able to share his experiences in such a high-conflict country. Another came from Iraq and was able to eloquently explain the issues of ISIS and how his country is faring in the post-Iraq war years. Other participants were active peace practitioners, working for the United Nations, the Carter Center, and Peace Brigades International. At the end of the conference, we all agreed that one of the most rewarding aspects was that we were all blessed to have met and gotten to know each other during the time there, and to have forged such great connections with people from unlikely places. I feel so fortunate that I was able to participate in such an event. As a graduate student and military spouse, it would have been very difficult to afford to attend the conference without funding from CID. I was also lucky that my university program was also able assist with a supplementary travel grant. While I did have to cover about half of the cost by myself, the microgrant from CID made it possible to attend, and as I said before, this will be an experience that I carry with me for the rest of my life. Rosanne Teniente has been awarded a micro grant for international travel, funded by the Association for Business Communication through the Center for Intercultural Dialogue. The following is her description of herself and the project. You can also read the main article describing all award winners. I am a Rhode Island native who has been transplanted around the world. As an undergraduate at Simmons College in Boston, MA, I studied economics and international relations, focusing on development economics and Middle Eastern politics. 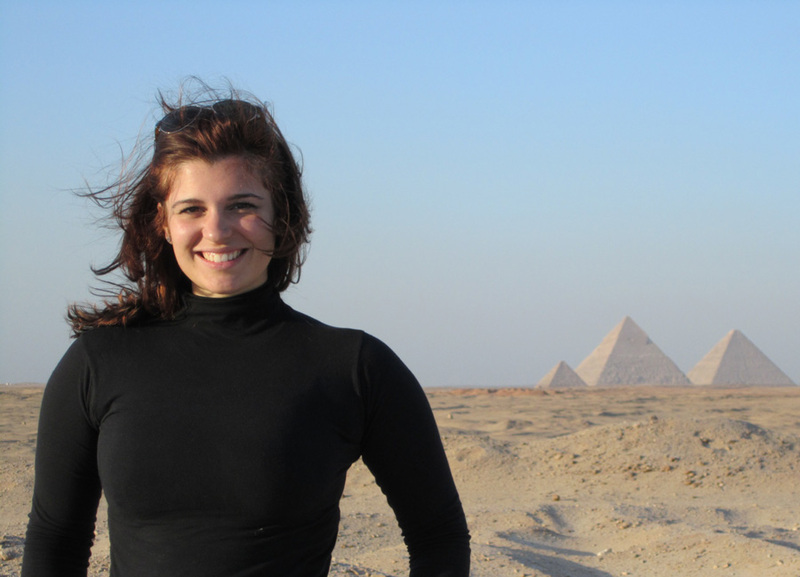 After my undergraduate studies, I moved to Egypt for several years as a Gilman Scholar at the American University in Cairo studying Arabic and interned with the US Foreign Commercial Service, and then worked as an English instructor at an international school. I am now a master’s candidate in the public administration program at Northeastern University, while working in the field of social services. I currently reside in Southwest New Mexico with my husband who is serving in the US Air Force. I embrace new adventures, foreign languages, and cross-cultural learning experiences. With the support of the CID grant as well as Northeastern University, I will be traveling to Baar, Switzerland to attend a ten-day conference in August hosted by the Institute for Peace and Dialogue, a nongovernment organization that is dedicated to strengthening institutional dialogue between civil societies, international peace and state institutions. The conference is IPD’s International Summer Academy in Peace-building & Intercultural Dialogue, which will feature experts and practitioners in the field of conflict resolution and peace building. Through different workshops, lectures, interactive group work, and negotiation activities, the knowledge gleaned with help me to build upon my past empirical research on the effect of conflict on GDP per capita in developing countries. September 2014: This project is now complete, and Teniente’s final report is now available. Inga Milevica has been awarded a micro grant for international travel, funded by the Association for Business Communication through the Center for Intercultural Dialogue. The following is her description of herself and the project. You can also read the main article describing all award winners. 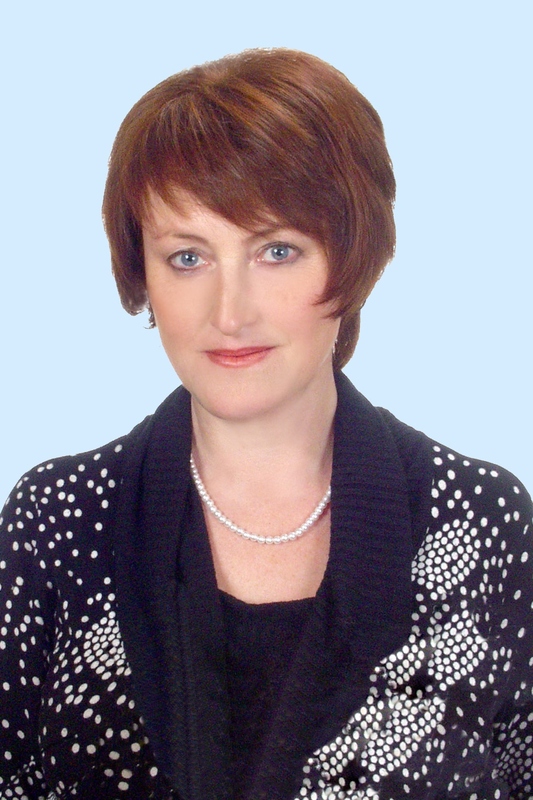 Dr. Inga Milevica is a researcher and teacher in Latvia, author of more than 90 scientific papers. Her main research interests are: gender communication, business communication, mass communication and translation problems, in particular, problems of translation in films. Milevica has been working at Alberta College since 2008 in all its fields of study: Legal foundation of the business, Entertainment management and production, Cultural tourism management, Marketing and marketing′s innovations, Staff work organization, Business accountancy and taxes, Information technology, Game development, Economics and organization of small companies and Public relations. She teaches the following courses: Rhetoric and Presentation Skills, Introduction into Communication Theory, Corporate Culture, Business Communication and professional Ethics, Stylistics and Culture of Latvian Language. The first and the main scientific-practical task of the project is to participate in the international forum and represent one of the private colleges of Latvia – Alberta College. The international forum “Socio-Cultural and Linguistic Aspects in Educational and Scientific Context” will take place in Kyoto (Japan) in Kyoto Sangyo University, September 25-29, 2014. The paper “Naive Argumentation of Authority” is being prepared for the section Intercultural Aspects in Pedagogical Activity. There will be basic peculiarities of the argumentation and especially of an argument authority discussed in the paper, based on the verbal and written discourse of the students. The second task deals with methodical planning. The partners of the forum are such famous and respected educational institutions of the world as Kyoto Sangyo University (Kyoto, Japan), Middlebury College (Vermont, USA), University of Bologna (Bologna, Italy), Sangmyung University of South Korea (Cheonan, South Korea), Almaty Institute of Power and Communication (Alamty, Republic of Kazakhstan), International Centre of Scientific-Educational Platform of Interaction of Cultures (Yekaterinburg, Russia), Institute of Foreign Languages and Multimedia at University of Greifswald (Greifswald, Federal Republic of Germany). The author intends to discuss with the representatives of the universities possibilities of the programme Erasmus+, which starting from 2014 will expand both geography of the trips and scientific and educational profiles, both for the students and teaching staff. In addition, this project will help to perfect practical knowledge about the distinctive culture of Japan. For example, such important categories for successful communication and overcoming potential barriers as time (monochrome or polychrome perception) and place (public or private – and to what extent) should be felt already on the airplane, in the hotel, on the streets, at the university, etc., and such a category as argumentation (linear or holistic) also can and must be experienced in real communication. Olena Zelikovska has been awarded a micro grant for international travel, funded by the Association for Business Communication through the Center for Intercultural Dialogue. The following is her description of herself and the project. You can also read the main article describing all award winners. 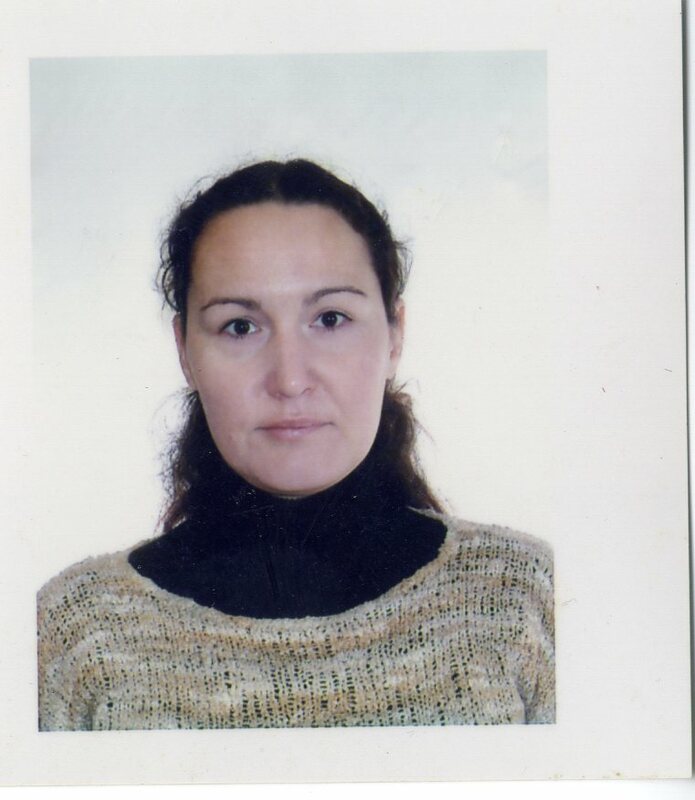 Dr. Olena Zelikovska is an Associate Professor in the Department of English for Economic Specialties at the National University of Life and Environmental Sciences of Ukraine (NULESU). For the last 10 years she has been working as a focal point in developing curriculum of “Business English” and ‘Translation of Commercial Correspondence and Business Communication’ for undergraduate and graduate students majoring in Economics, Management of International Affairs and Linguistics as well as in supervising students’ research projects with the focus on intercultural communication issues. In 2010, Zelikovska defended the thesis: ‘Developing intercultural competence in the students of higher economic educational institutions’ (adopted by the Ministry of Education and Science of Ukraine). 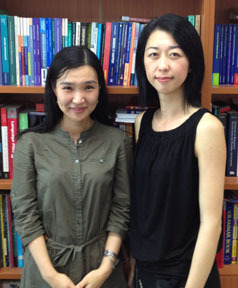 She has been chairing the Student’s Research Group “Business Environment and Intercultural Communication” since 2011. Zelikovska has been constantly seeking for international cooperation to provide the students with valuable practical experience. She is interested in project-based programs designed to connect American and Ukrainian students in a distance learning opportunity that is grounded in intercultural dialogue and exchange. Project background: The growing importance of English as an instrument of international communication on the global scale and its increased use in Ukraine has triggered research about improved methods to develop university students’ intercultural competence (ICC). This has promoted changes in both the teaching and learning process. However lack of students’ cross-cultural communication experience has resulted in low sensitivity of intercultural issues. The initial discussion has shown that the NULESU students majoring in Management of International Affairs or in Linguistics have very little idea about intercultural communication (IC). For instance, they are unaware of the privacy zone character of the American culture and can easily use the patterns of direct language imposing their ideas and feelings on the interlocutor as they commonly do in Ukrainian culture with higher power distance and no privacy space. Moreover English classroom communicative behavior of the majority of faculty staff unfortunately does not often correlate with such behavior of their American colleagues. That is why the traditional teaching practice does not achieve the expected results on developing ICC. The key to the solution may be the application of the 3-component intercultural development model that provides knowledge (cognitive element of the model), foster awareness (affective element of the model) and develop skills (behavioral element of the model). The proposed project seeks to assess the interrelated issues: How to fill each component of the model with the intercultural communication content tailored to the particular needs of the individual student? How do these components correlate with each other? What issues should be submitted for Student’s Research Group? How to launch distant projects between American and Ukrainian students to enrich each other with learning by experience? The development of classroom communicative behavior of the department staff is the issue of special importance. The project will provide the unique opportunity for the grant holder to study all these processes as a system at the Californian State University by classroom observation, students and faculty staff surveying and discussions with further analysis of the data collected. The ultimate goal of the research is to empower Ukrainian students with intercultural awareness enabling them to develop empathy, tolerance and mutual understanding with their American peers. More ABC Micro Grants available! UPDATE May 12, 2014: This round of micro grants has been completed – see the results. As further micro grants become available, they will be described on the website. The Center for Intercultural Dialogue will distribute micro grants for intercultural dialogue from a pool of $5000 made available by the Association for Business Communication. These micro grants are intended to support either or both of the two types of activities described in the mission of the Center: study of intercultural dialogues by Communication scholars, and/or participation in intercultural dialogue through academic interactions between Communication scholars based in different countries, or different linguistic and cultural regions. Thus, you do not have to be studying intercultural dialogue as your topic – putting intercultural dialogue into practice through collaborative research is also eligible for funding. These grants are sufficient to provide seed funding only: no more than $1000 maximum can be awarded to any one individual. The goal is to encourage international, intercultural, interlingual collaborative research by giving enough funding to offset the cost of airfare only, while providing opportunity (and cause) for matching grants from universities. Past experience shows that even these small grants help researchers obtain matching funds from their departments, or administration. If you already have multiple international connections, this grant is not for you – obviously you don’t need it. But if you are at a small college, or if you are a new scholar, or have not yet established significant international connections related to research, or if your university has recently cut back its budget for travel, you are the intended audience for this competition. If you have been reading publications by an international scholar on a topic of potential relevance to your own research, consider a short trip to discuss ways to collaborate on a future project. If you do not know who has been doing relevant work, check the sources you’ve been reading lately, ask your colleagues, and/or think about who you know from graduate school or who you have met (or heard present an intriguing paper) at a conference. Find someone with similar interests but who takes a different theoretical or methodological stance by virtue of being based in a different cultural context. The intention is to support the development of new intercultural, professional connections. Thus continuing collaborations are ineligible. Those based in the US are expected to propose travel outside the country. International scholars currently living outside their country of origin are asked to establish a new affiliation in a different region rather than proposing a return to their homeland. We recognize that much interesting work can be done within a country between cultural groups, however this grant program focuses on connecting researchers who are not yet connected, across cultural regions that are typically disconnected. This rationale of cross-cultural connection must be explicit in the project description. The ABC Micro Grants Application requires applicants to describe their project, provide a brief resume, a short note from their department chair documenting their current status, and one from the host scholar expressing interest in holding conversations related to research. The deadline is April 15, 2014. Membership in ABC is required, but they have decided to consider this a recruitment opportunity, meaning that you may join and be eligible immediately. The National Communication Association set aside similar funding for micro grants in 2012-13. Those projects have already been completed, and have been described in sufficient detail that they may serve as models for this year’s applications. Contact the Center’s Director, Wendy Leeds-Hurwitz, with questions. Author Center for Intercultural DialoguePosted on February 6, 2014 May 12, 2014 Categories Micro-GrantsTags ABC, Association for Business Communication, business communication, collaborative research, international travel, Micro-Grants, travel supportLeave a comment on More ABC Micro Grants available! The Center for Intercultural Dialogue will distribute micro grants for intercultural dialogue from a pool of $5000 made available by the Association for Business Communication. These micro grants are intended to support either or both of the two types of activities described in the mission of the Center: study of intercultural dialogues by Communication scholars, and/or participation in intercultural dialogue through academic interactions between Communication scholars based in different countries, or different linguistic and cultural regions. These grants are sufficient to provide seed funding only: no more than $1000 maximum can be awarded to any one individual. The goal is to encourage international, intercultural, interlingual collaborative research by giving enough funding to offset the cost of airfare only, while providing opportunity (and cause) for matching grants from universities. If you already have multiple international connections, this grant is not for you – obviously you don’t need it. But if you are at a small college, or if you are a new scholar, or have not yet established significant international connections related to research, you are the intended audience for this competition. If you have been reading publications by an international scholar on a topic of potential relevance to your own research, consider a short trip to discuss ways to collaborate on a future project. If you do not know who has been doing relevant work, check the sources you’ve been reading lately, ask your colleagues, and/or think about who you know from graduate school or who you have met (or heard present an intriguing paper) at a conference. Find someone with similar interests but who takes a different theoretical or methodological stance by virtue of being based in a different cultural context. The ABC Micro Grants Application requires applicants to describe their project, provide a brief resume, a short note from their department chair documenting their current status, and one from the host scholar expressing interest in holding conversations related to research. The initial deadline for review of proposals is February 1, 2014. If funds remain after the initial set of grants have been awarded, April 15, 2014 will be the second deadline. Micro Grants for Intercultural Dialogue Available! Author Center for Intercultural DialoguePosted on December 2, 2013 May 12, 2014 Categories Micro-GrantsTags ABC, Assoc for Business Communication, Grants, intercultural dialogue, Micro-GrantsLeave a comment on Micro Grants for Intercultural Dialogue Available! In May 2013, with support from a Center for Intercultural Dialogue micro grant funded by the National Communication Association, I traveled to Seoul, South Korea, to meet with Dr. Eun Sung Park of Sogang University. We are both applied linguists, though we have different research concerns: my interests lie at the interface of language and social interaction while Dr. Park’s work has centered on cognitive aspects of second language acquisition. However, given our professional roles in working with TESOL (Teaching English to Speakers of Other Languages) teachers, we share common interests in second language teaching and learning, and how to effectively educate teachers in both theory and practice. I am currently the Acting Director of TESOL at the University of Pennsylvania’s Graduate School of Education. Dr. Park is an Associate Professor of TESOL/Applied Linguistics and Director of the General English Education Program at Sogang. Although we had corresponded briefly via email about the possibility of working together, we had not previously had the opportunity to engage in an extended discussion. I envisaged our conversation to be an exploratory step to examine an issue that has been of particular interest to me over the past few years: how well do Master’s TESOL (Teaching English as a Second Language) programs prepare international students to teach in classrooms in their home countries that may be very different from those experienced via study and fieldwork in their graduate programs? My preparations for the trip were fairly smooth. While the micro grant did not quite cover the entire airfare to Seoul, I was fortunate to able to fund the remainder through my faculty conference/travel fund. One of the more difficult aspects of preparation was to find a suitable time to travel given my teaching responsibilities and the fact that I wanted to be able to meet with Dr. Park while her university was still in session. By planning several months in advance, I was able to schedule my summer teaching to fit in with my plans to travel as soon as my spring semester had finished. This also gave me time to track airfares to ensure I found the best price possible (I used a tracking and notification tool available on Kayak). Dr. Park was very generous with her time while I was visiting. We had broad and informative discussions, ranging from the teacher training and credentialing process in South Korea and the changing environment of English teaching there in terms of a greater emphasis on oral skills, to the career paths of graduates who have studied overseas and returned to Korea. Very interestingly, Dr. Park described how, in her experience, native English speaking teachers are perceived by students at her university to be better teachers than non-native English speaking teachers, but how more often than not, it is the non-native English speaking teachers who receive better student evaluations. This particular theme was not one that I had initially considered, but we brainstormed on the various ways we might go forward with this idea, including accessing and analyzing the available data, and we will follow up our discussion on email and hopefully arrange a meeting at a conference in the United States next year. Secondly, I was also able to meet with a former graduate student from my home institution who was teaching English at Sogang. Our conversation was particularly beneficial as we talked about her experience of a TESOL Master’s program in the US and how it had prepared her for teaching in Korea. Two rather surprising issues arose. One was the unrealistic expectation held by international students on entering the Masters program with regards to the ease of finding a good teaching position in their home country after they complete their degree. The other related issue was the perception of the most significant benefit from obtaining the degree. Rather than improving one’s pedagogy or knowledge about teaching, as I might have posited, the former student pointed to the increase in her authority that stemmed from her students’ knowledge of her educational background. Although my methodology in my original project proposal is centered on the micro-analytic examination of classroom interaction, this meeting underlined the usefulness of such conversations in generating ideas and developing possible themes for further inquiry. I am deeply appreciative of the time I spent in Seoul, and for the NCA micro grant that enabled me to make such a trip. Although I initially had formulated quite firm proposal ideas, the conversations I had were extremely valuable in opening up my perspective about the possible and effective ways to further my research goals, and possibly expand them to encompass new directions for my work. I feel that the grant’s support of “participation in intercultural dialogue through academic interactions” is especially important in the exploratory stage of research. Dr. Park and I are not in the same sub-fields of our discipline, and so this type of in-depth conversation might be less likely to happen through regular conference or peer contacts. Phone, email, or even video-conferencing would have been poor substitutes for this type of exploratory discussion: I am grateful for the opportunity to meet potential collaborators in person, engage in face-to-face interaction, and establish productive professional relationships.